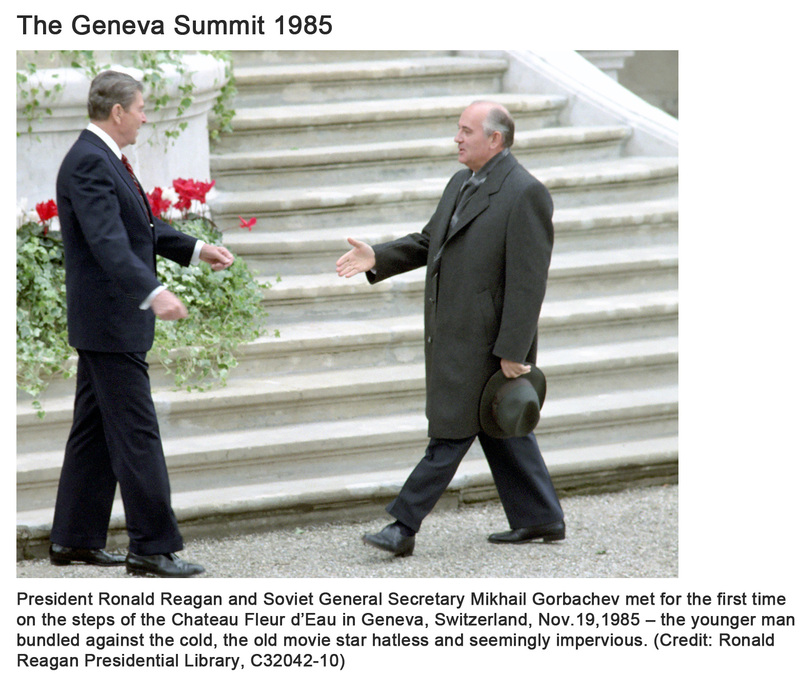 The book’s authors, Svetlana Savranskaya and Thomas Blanton of the National Security Archive, argue that the summit conversations that began at Geneva in 1985 and ended in Madrid in 1991 just before the USSR dissolved, dramatically reduced both sides’ sense of threat but often struggled with Cold War preconceptions that left on the table potential arms control reductions and further solutions to Third World conflicts. 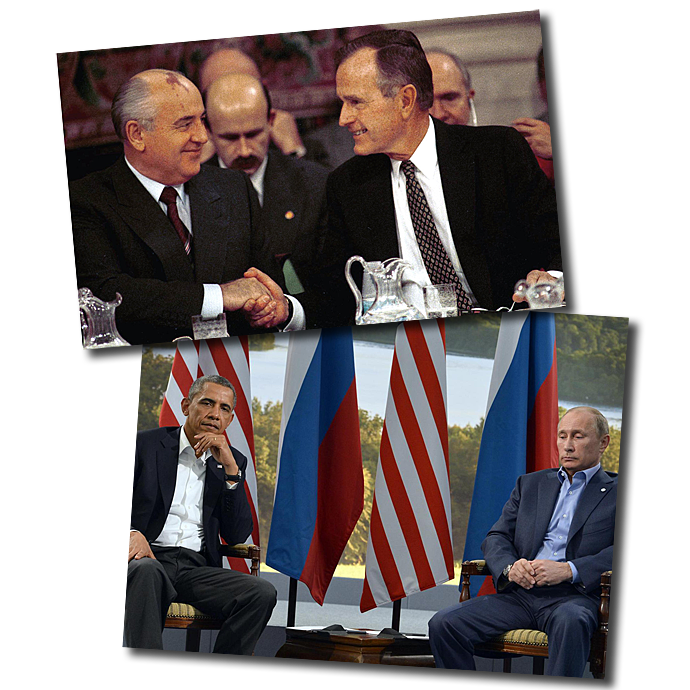 Ultimately, even though the summits achieved unprecedented levels of partnership, their unfinished business left a legacy that helped prevent the integration of the former USSR into Europe. British Prime Minister Margaret Thatcher’s praise for Gorbachev during her first visit to Camp David in December 1984. The Gorbachev-Bush memcon from the Paris summit, November 1990, where neither mentions European integration, instead focusing on Bush’s plea for Gorbachev’s support in the upcoming Gulf War. "Based on transcripts of the intense and often passionate dialogues and negotiations between the main initiators of the end of the Cold War, as well as their personal letters; and memoranda, notes and diaries of aides and advisors, this book offers the reader an exceptional chance to be 'a tly on the wall' at U.S.-Soviet summits ... This is exciting reading and a real textbook on the skill of statesmanship for new generations of political leaders." "This book is a triumph of history at a turning point- the end of the Cold War. 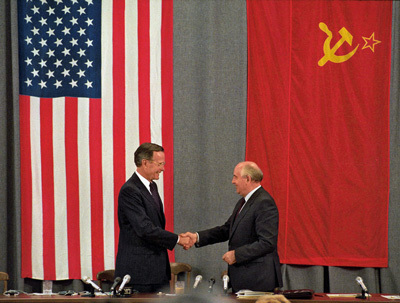 In private conversations and once-secret documents, the leaders of the United States and Soviet Union struggle to end the superpower standoff. Fascinating, authentic and invaluable, The Last Superpower Summits combines the raw material of history and polished, compelling analysis. The book transports a reader back in time." "The formerly classified documents and the astute commentary on them in this book are absolutely indispensable for understanding how the Cold War ended. 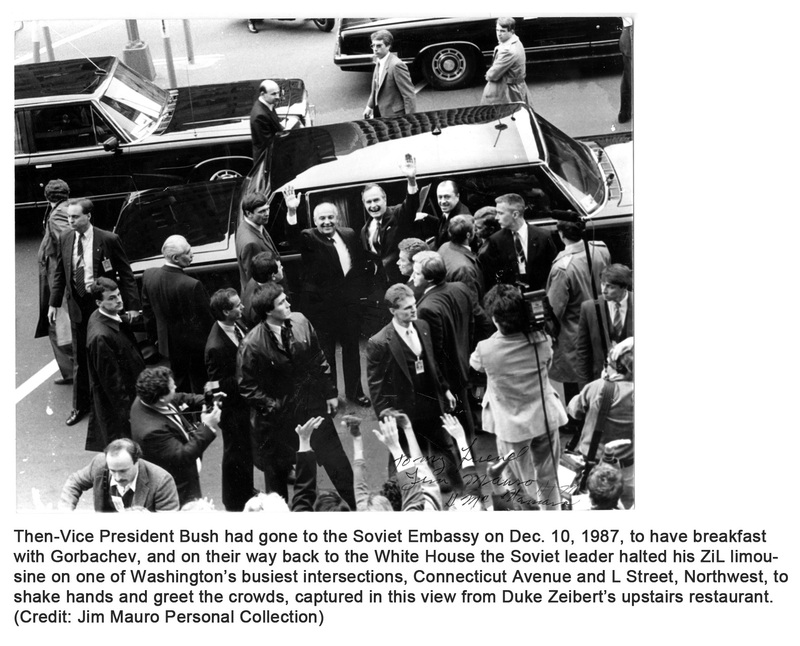 Kudos to the National Security Archive for collecting, translating and analyzing them!"